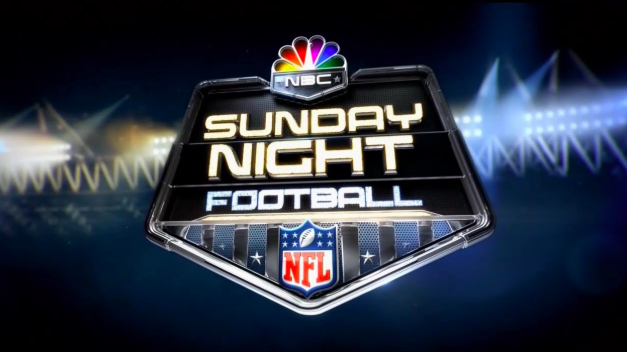 Fun fact: The first ever Monday Night Football game on national television took place on September 21, 1970. The matchup? Your Cleveland Browns against the New York Jets. The venue? The old Cleveland Municipal Stadium. The Browns won that game, 31-21, where they were led by quarterback Bill Nelsen and wide receiver Homer Jones. That may not have been the start of a great era for Cleveland, but it was the start of an era for the NFL. 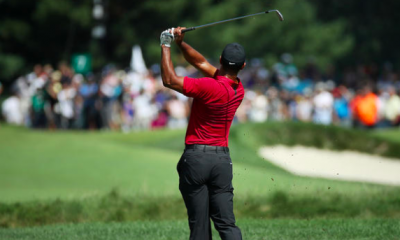 Ever since then, Monday Night Football has been a staple for sports culture and entertainment. From Michael Vick’s 400-plus passing game in 2010 to the Joe Montana vs. John Elway, Chiefs vs. Broncos shootout in 1994, Monday Night Football has been the stage for some miraculous, historic games in NFL history. And little did anyone know in 1970 that Monday night wouldn’t be the only night of the week for primetime football. Whether it’s Thursday Night Football, Sunday Night Football, or in some rare cases, Saturday Night Football, it’s hard to miss NFL football during the fall and early winter. So where do the Browns come into this conversation? Well, Cleveland has not been a part of primetime football very often since our return in 1999. The last time the Browns were on Sunday Night Football? September 14, 2008 at then-named Cleveland Browns Stadium against the Steelers. (We lost 10-6.) The last time we were on Monday Night Football? November 30, 2015, a game to forget, as the Browns lost 33-27 against Baltimore at FirstEnergy Stadium on a blocked field goal returned for a touchdown. 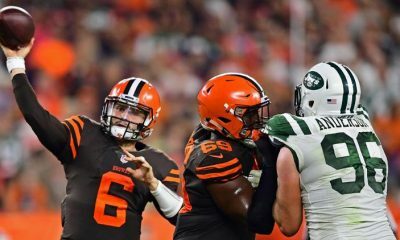 Every other season or so, the Browns will make an appearance on Thursday Night Football, for some reason always against the Bills or Jets. Now, I can’t blame national networks for not putting our team on primetime games. The product on the field hasn’t been deserving enough. I wouldn’t want to see Colt McCoy on SNF either. But now, that’s all going to change. 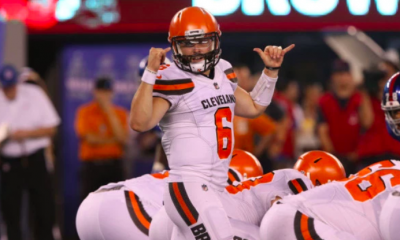 The 2018 first round draft pick in Baker Mayfield. The NFL receptions leader in 2017 and 4-time Pro Bowler in Jarvis Landry. 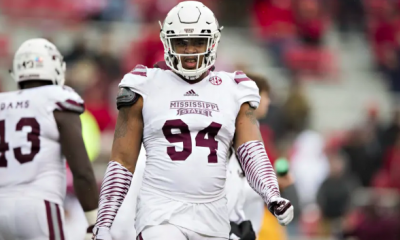 2014 Offensive Rookie of the Year and arguably the biggest trade acquisition of the offseason in Odell Beckham, Jr. Plus, 2019 Pro Bowlers in Myles Garrett, Denzel Ward, Joel Bitonio, and past Pro Bowlers in Damarious Randall, Joe Schobert, Olivier Vernon and Sheldon Richardson. Plus many others! If that’s not a formula for getting primetime games, I don’t know what is. 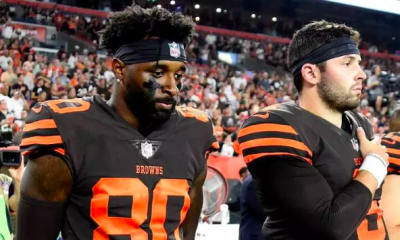 The excitement surrounding the Browns at the end of last year was something we have not seen in a long time, and that goes for everyone who covers the NFL. 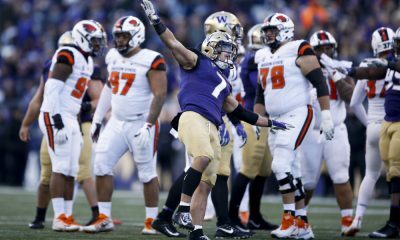 Looking at the Browns opponents for next season, there are multiple opportunities to earn primetime games and not just Thursday Night Football. Home games against the Rams, Steelers or Seahawks would be great opportunities for a Monday Night Football game as ESPN does celebrate 50 years of the primetime show. A perfect opportunity to celebrate where it all began. 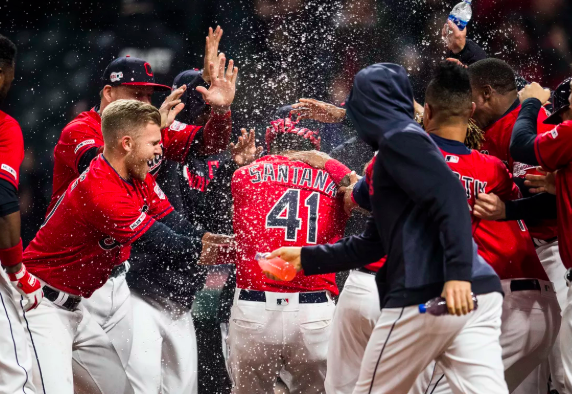 Cleveland also travels to New England, San Francisco, the Jets and of course Baltimore and Pittsburgh, all great opportunities for Sunday Night Football matchups. 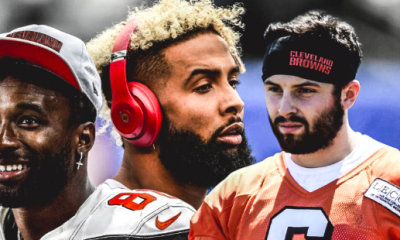 I can not wait to hear Al Michaels call Baker Mayfield to Odell Beckham, Jr. connections for touchdowns. Of course, the famous catch by OBJ back in 2015 against Dallas was on Sunday Night Football. Also, can you imagine Mayfield or OBJ in the famous intro with Carrie Underwood? It just gives me chills thinking about it. The schedule won’t be released until mid-to-late April, so we don’t really know what games we’ll get just yet. 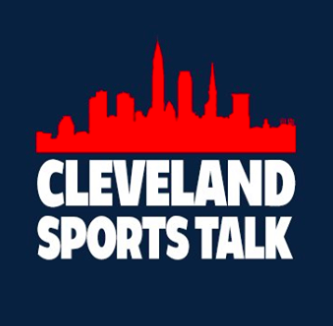 But long story short, the country is going to and should get more exposure to Cleveland Browns football and see what John Dorsey, Freddie Kitchens and everyone involved is cooking up in Northeast Ohio. It was bound to happen at some point. 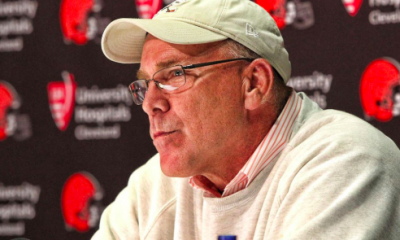 That point is now, as the Browns are flipping the script on the NFL. 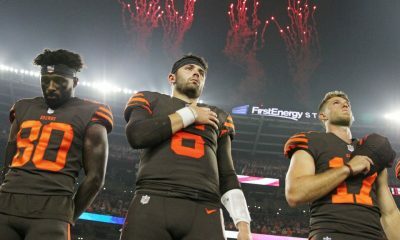 And it only makes sense that the entire country and world, gets to witness this change of football in Cleveland, Ohio.